As a Louisville Wrongful Death Attorney I make spousal loss of consortium claims for spouses who lose their companion due to the negligence of another person. If you have lost a spouse as the result of the negligence of another then you need to understand “spousal loss of consortium” because is a very significant claim when there is death. A “spousal loss of consortium claim” claim is the right of a spouse to damages for the loss of companionship of their decedent spouse, who has died as the result of the negligence of someone else. At common law, which is the law of equity that existed prior to the creation of legislatures and statutes, this right was limited to the time period prior to the victim’s death. In other words, if your spouse was injured, I, as your personal injury attorney, would make a claim for loss of consortium but that damage ended if your spouse died. It is uncertain why the common law was written this way. It does not make sense that you can lose the companionship of a spouse when they are injured but not when they die. When they die is when you permanently lose the companionship of your spouse. Perhaps the common law assumed everyone would remarry and replace the lost companionship. Of course, remarrying does not replace the original companionship. The Kentucky legislature codified the loss of consortium laws in KRS 411.145 and the statute in no way limited spousal consortium to the life of the victim. However, the common law confused some courts and erroneous judge made laws were created that limited spousal consortium to the life of the victim. Sometimes when there is a common law right and a similar one created by statute, the courts become confused and create erroneous laws. Such is the case with regard to “spousal loss of consortium” laws in the state of Kentucky. Finally, the Kentucky Supreme Court has corrected this error in the law through the case of Tina Martin v. Ohio County Hospital Corporation. This claim is of particular importance in the case of the wrongful death of a spouse and as a Louisville Wrongful Death Attorney we have presented this claim since 1986. 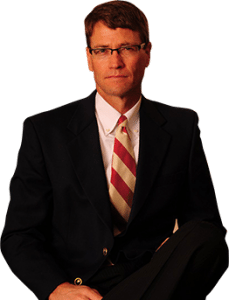 If you have lost a spouse due to the negligence of someone else, please contact Matt Troutman of the Troutman Law Office and he can present a spousal loss of consortium claim for you. You can call Matt directly or email him at troutlaw3550@gmail.com.